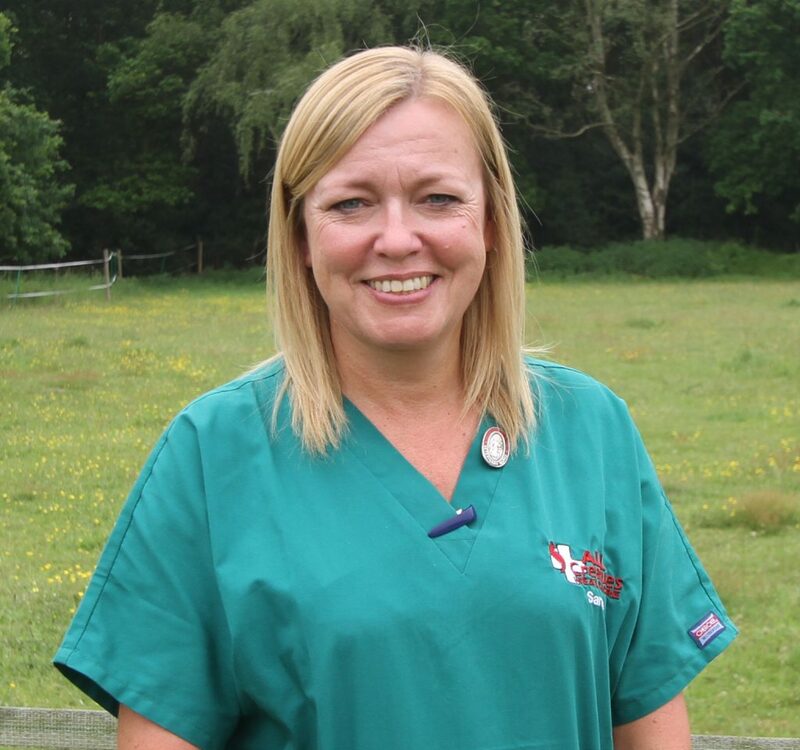 Joining the All Creatures team in April 2018 as Head Nurse, Sarah has a wealth of experience having qualifed in 1992 and has held the head nurse position in most of the practices she has worked in. She lived in Canada for a while and was employed at an emergency clinic, among others, where she developed an interest in emergency and critical care work. After growing up surrrounded by dogs and cats (and the occasional rabbit, guinea pig and many hamsters), Sarah always knew from a young age she wanted to be a veterinary nurse. Sarah has trained many student nurses over the years, and is proud to impart her knowledge to the next generation of nurses! Along with her extensive experience, she also has an award in dog training and behaviour. And this is her favourite area of interest. She has a Border Collie called Taylor who is 10 years old and she enjoys spending her free time walking and training her. She is an avid fan of crime series on TV, and enjoys travelling to sunnier places and reading.